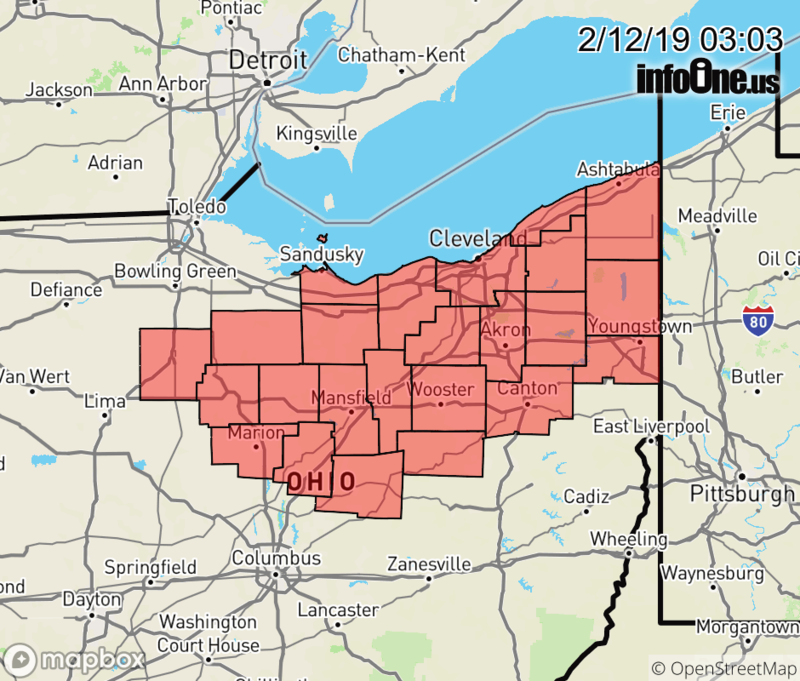 The Flood Watch continues for * Portions of Ohio and northwest Pennsylvania, including the following areas, in Ohio, Ashland, Ashtabula Inland, Ashtabula Lakeshore, Crawford, Cuyahoga, Erie, Geauga, Hancock, Holmes, Huron, Knox, Lake, Lorain, Lucas, Mahoning, Marion, Medina, Morrow, Ottawa, Portage, Richland, Sandusky, Seneca, Stark, Summit, Trumbull, Wayne, Wood, and Wyandot. In northwest Pennsylvania, Crawford, Northern Erie, and Southern Erie. * Through late Tuesday night * Widespread rain will bring one to one and a half inches of rainfall to the region. The combination of frozen ground and elevated rivers and streams with a light snowpack will increase the flood risk.